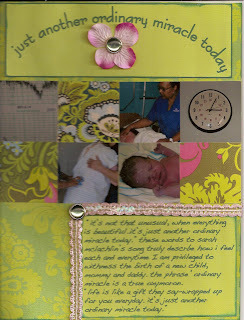 This layout I did sums up for me what it is like to be a doula. "It's not that unusual, when everything is beautiful. It's just another ordinary miracle today." 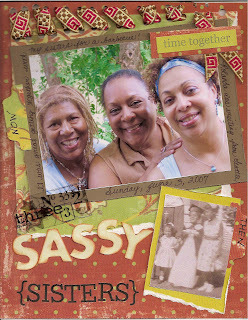 I created this layout of me and my sisters when my sister, Roe , was visiting from Seattle a couple of weeks ago. 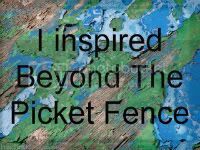 Well here is my attempt to make this blog more of a scrapbooking one. I will use this place to upload recent layouts I've created and I hope you enjoy looking at them!